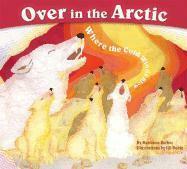 Over in the Arctic, the snow goose honks and the wolf howls. Children too will joyfully honk and howl while they count the baby animals and sing to the tune of Over in the Meadow. And the illustrations - all done in cut paper - vividly convey the dramatic landscape of the Arctic.